In 1825, the French naturalist Adolphe Dureau de la Malle first used the term ecological succession to describe the growth of vegetation after forest clear-cutting. Henry Chandler Cowles reintroduced this term in 1899 in his doctoral dissertation at the University of Chicago to describe the succession of vegetation and soil on the Indiana sand dunes, located on the southern end of Lake Michigan. Cowles, who became an early leader in the emerging study of ecology, wrote about ecological succession as the history of the ecosystem from its birth to maturity: changes occur in the species community, with some becoming less abundant over time, and replaced by more plentiful species. Frederic Clements was a contemporary of Cowles, classmate of the writer Willa Cather at the University of Nebraska, and a leading early plant ecologist. Based on his studies of vegetation in his native state of Nebraska and the western United States, in 1916 he proposed that vegetation gradually changes over time in a sequence of predictable and deterministic stages—which he likened to the development of an individual organism—toward a mature climax stage. This concept was a dominant theory through much of the twentieth century. Primary succession refers to plant communities occupying sites that had not been previously vegetated and include sandy or rocky surfaces or those covered by lava flow. The earliest signs of vegetation include lichens and grass (pioneer plants), which require few nutrients and use the minerals from rocky surfaces to survive. These are succeeded by small shrubs, trees, and then animals in the climax stage, forming a fully functional ecosystem. By contrast, secondary succession occurs in an area that has undergone a major disturbance or removal of a preexisting vegetative community because of fire, flood, hurricane, or such human factors as logging or agricultural activities. Secondary succession proceeds much more rapidly to the climax stage. Cowles referred to these intermediate stages progressing toward the climax community as sere. As each new plant species grows, it modifies the habitat to permit and facilitate the growth of the subsequent species. SEE ALSO: Land Plants (c. 450 Million BCE), Agriculture (c. 10,000 BCE), Ecological Interactions (1859). 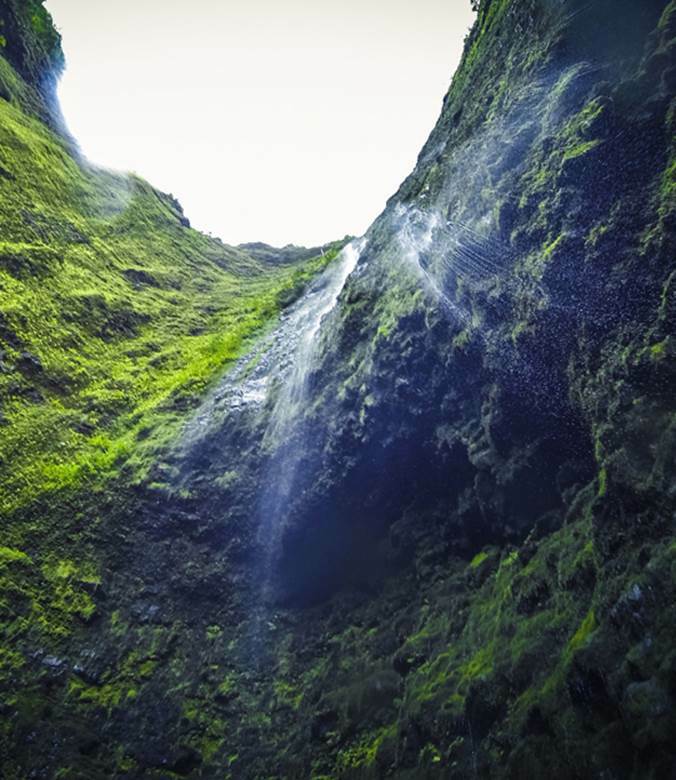 Located on the northeastern shore of the Big Island of Hawaii, Hi’ilawe Falls drops more than 1,400 feet down a steep cliffside of sacred Waipi’o Valley. The moss-covered lava rocks surrounding the waterfall exhibit primary succession.